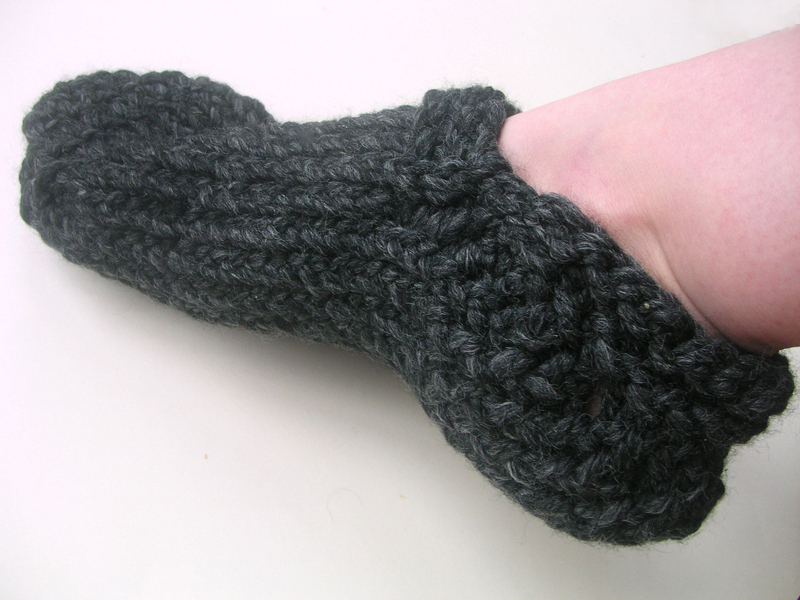 Pegs & Needles: Cozy Mocs pattern - new! In my quest to make some more male-loomer-friendly patterns I designed these Cozy Mocs. Not only are they more male loomer friendly, they also feature a toe up knitting design that lessens the bulk at the toe. I've gotten several requests from loomers that are trying to make a gift for someone with sensitive feet. Hopefully, these will fit the bill! 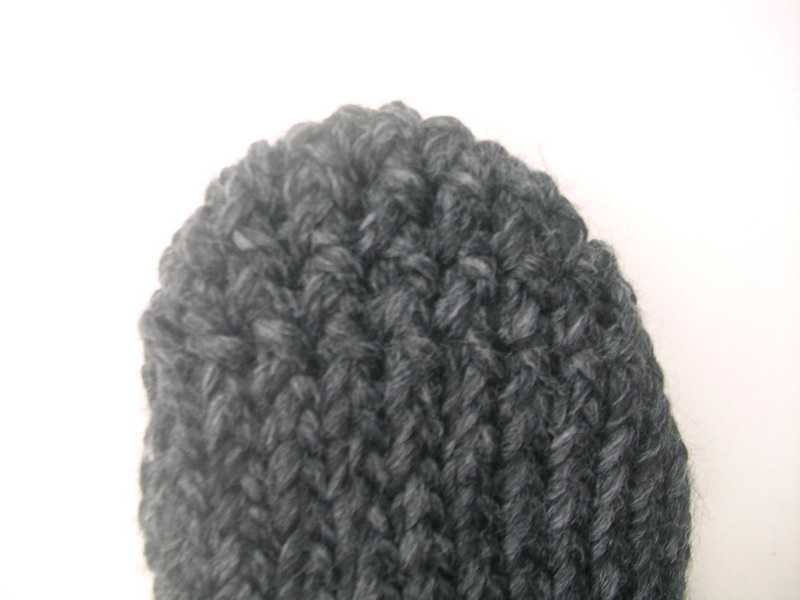 Yarn: 1 ball of Lion Brand Thick and Quick in color "Charcoal"
Techniques used: E-wrap, purl, increasing, flat panel bind off, turning the heel, and sewing seams. A close up of the toe. Less bulk and great shaping! A more straight on view. You can really see the fitting in this one. that turned out pretty darn nice. 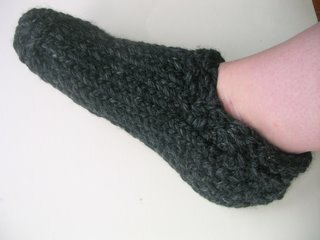 I think I need to add slippers to my long list of things to make for people. are you still selling the cozy mocs slipper pattern? I would like to buy it if you are. Please let me know. Thanks Oh, are these women or men's size or both? 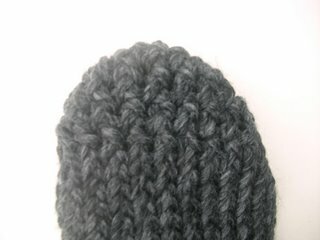 They are customizable to the length of the foot so they should fit either men or women depending on the size you make.